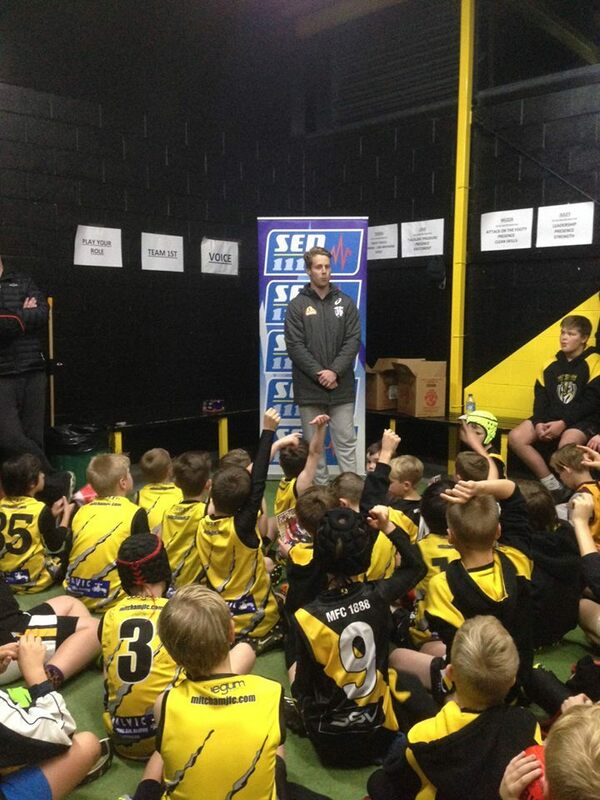 A great night at Walker Park last Wednesday with Bulldogs Premiership player Lachie Hunter helping out at training and sharing his thoughts and tips with our junior players. Lachie spent a couple of hours going around to each team and helping out and he was extremely impressed with the skills and ability on display. We'd like to thank SEN for hosting but especially Nunawading Toyota who organised the night and are a Club sponsor. If you're in the market for a quality new or used vehicle make sure you give Shane McBride a call (9877 3133), tell him your're from the Mitcham Junior Football Club and he'll put you in a great car at a great price.